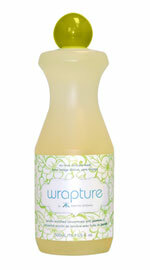 Get Kristin's A Knitting Wrapsody book and a 9 ounce bottle of her Wrapture delicate, no-rinse fiber wash in one kit! Kristin Omdahl's Knitting Wrapture Kit includes her book A Knitting Wrapsody and one 9 ounce bottle of Wrapture no-rinse delicate fiber wash. With this kit you'll have an abundance of stylish knitted wraps and they'll smell oh-so-good! Designer Kristin Omdahl is one of the most innovative designers working today, and in this collection, she showcases her signature motif designs and experimental construction in 18 original patterns—five scarves, six wraps, five shawls, and two skirts—that provide new ways to think about knitting pieces that wrap, drape, or tie. All of the garments incorporate interesting elements, from reversible stitch patterns and unique knitted edgings to interesting closures. Some of the techniques are quite unusual and readers will benefit from watching the enclosed DVD to see some of them demonstrated before casting on for a project. 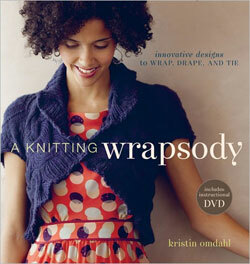 Kristin Omdahl is also the author of Crochet So Fine, Wrapped in Crochet, The Finer Edge, and Seamless Crochet. 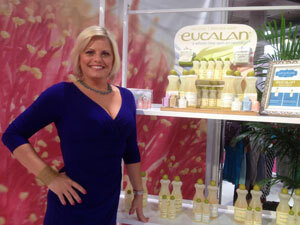 She designs knit and crochet garments and patterns under her label KRISTIN and distributes her own line of patterns and knits from her website, styledbykristin.com, and to yarn stores. She also designs for several knitting and crochet magazines as well as book publishers and teaches knit and crochet techniques for private lessons and workshops. Kristin creates designs for a variety of yarn companies, including Plymouth Yarn, Cherry Tree Hill, and Tilli Tomas and has published designs in Interweave Crochet, Interweave Knits, Knitscene, Crochet Today, and Crochet! She lives in Florida. 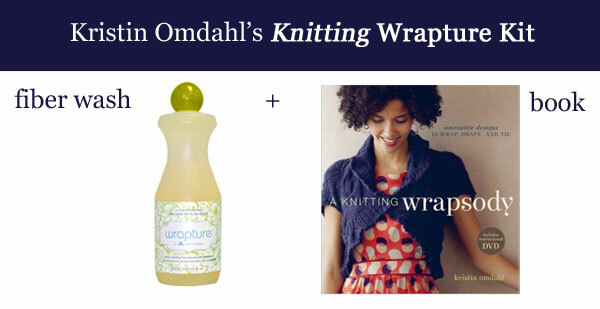 Buy Your Kristin Omdahl Wrapture Knitting Kit while supplies last!